The history, purpose, and reason for creating www.drivennails.com is to train and equip Bible preachers and teachers and to provide edifying devotional material for all who love the Lord Jesus Christ. It’s possible they didn’t see me as faithful. After all, I was a baby believer and my faithful quotient was possibly too low, but they didn’t even know me. I don’t think that was the problem. The fact is I went to a non-discipling church. There was great preaching from the pulpit, but no emphasis on discipleship. As far as I knew, there wasn’t anyone being discipled. In my youthful zeal and naiveté I figured that if discipleship was in the Bible, surely the elders of a Bible church would be hard at it. But now that many years have passed under the bridge, let me say with definitive certainty that every faithful pastor is commanded by God to teach other faithful, gifted, and called men to shepherd the flock of God. Since preaching and teaching the Word of God is the most frequently mentioned responsibility found in the Pastoral Epistles (I & II Timothy and Titus) and in Paul’s summation of his ministry to the Ephesian elders in Acts 20:17-35, every pastor must obey the command to train up other preachers and Bible teachers. If they do not, they are sinning. But could there be exceptions to the rule? Yes, I imagine so. Some preachers have very little training themselves. They may feel ill equipped to train other men to preach the Word for they themselves have never been trained. I say this with kindness, but with the conviction that an ill equipped preacher is a huge problem. It is a problem I hope to remedy through this website. James warns that, “teachers will incur a stricter judgment” (James 3:1). Preachers are commanded by God to “accurately handle the Word of truth” (II Tim. 2:15). To fail to "accurately handle the Word of Truth" is to sin. It is to distort or corrupt the Word of God, to put things into God’s mouth that God never said. Actually, it might be argued they went to the first mobile seminary. They lived with Jesus for three years, the greatest preacher and teacher who ever lived! They saw and heard Jesus preach and teach. In fact Mk. 3:14 says that Jesus called the disciples so that they might preach. They first watched Jesus preach, then were taught to preach, then were sent out to preach, and then received feedback from Jesus himself. They probably had the equivalent of 9 years of seminary being with Jesus day and night for three years. It is true, you don’t need to go to seminary, but it is not true that you don’t need training. Every preacher needs to get training somewhere in the general content of the Bible, theology, how to interpret the Scriptures accurately, and how to construct and deliver Bible studies and sermons. Granted, there are a few disciplined men out there who have systematically trained themselves in the many fields of study related to the pastorate. Yes, you can for the most part, “do it yourself,” but you still need someone to hold your hand, give you opportunity, and give you feedback so you can learn to preach and teach well without damaging God’s sheep too much or speaking error. Others like to mention that some of the greatest preachers who ever lived didn’t get a formal seminary education. They site as exhibit “A” Charles Spurgeon. And it is true. Charles Spurgeon never went to seminary. However it is not true that Surgeon didn’t have any training. Spurgeon was a genius with a photographic memory. As a boy, during the summers he was sent to his grandparents’ house. His grandfather was a preacher, a lover of the Puritans, and had a substantial library. Spurgeon’s mind was starving for knowledge, and being bored, he read virtually all of the books in his grandfather’s library! In one summer he memorized all The Psalms and Hymns of Isaac Watts! Read a biography of Spurgeon and tell me he had no training. The man read books like most preachers take breaths. He knew the Bible, church history, and theology. From his first sermon he showed an extraordinary grasp of the Bible and theology. Spurgeon was highly trained. A while back I watched an interview between several very famous modern day preachers. One of them commented, “Seminary ruins young men.” He said seminary takes away the passion young men have for ministry. He recommended that young men be sent out as soon as possible to pastor their own churches! Ahhhh! What nightmarish advice! Sadly many energetic young men have followed that preacher’s advice, started their own churches, and have led many astray in the process. Every preacher needs training before entering the pulpit! The cost is too high. You can’t just “wing it,” “experiment on God's flock,” and “try out your theology” on the eternal souls of people. Preaching is serious business, no – it is the most serious business! There is no higher calling, no greater responsibility, no job or ministry on earth that carries with it such massive consequences and scrutiny from God than does preaching the Word of God. II Timothy 4:1-2 testifies to this as Paul says to Timothy, a young pastor, “I solemnly charge you in the presence of God and of Christ Jesus, who is to judge the living and the dead, and by His appearing and His kingdom: Preach the Word; be ready in season and out of season; reprove, rebuke, exhort, with great patience and instruction.” There is a five-layered charge leading up to the command to “Preach the Word.” It may be the strongest charge or admonition leading up to any command in all the Bible. Yes, that is the man whom the Lord used to lead one of the greatest preachers who ever lived to Christ. However, it is an error to take an exception and canonize it. God used Balaam’s donkey, but let’s not try to become beasts of burden ourselves so God can use us too. The Scriptures are the standard. The example of Jesus, Paul, and the teaching of the New Testament to the churches are to be our guide. Before coming to Christ, the Apostle Paul was highly trained as a Jewish Pharisee, the strictest and most studious of the Jewish sects. His mentor was no one less than Gamaliel, one of the greatest Rabbis who ever lived (Acts 22:3). After coming to Christ Paul spent 17 more years studying and learning at the feet of Jesus himself (Gal. 1:11-2:1). Every great preacher and teacher of God’s Word must be well educated in the Word, doctrine, and in living the Christian life. The Bible commands those who teach and preach to be trained to preach and teach. There is a dangerous novelty in the church today, a form of sanctified entertainment. Untrained men are put in the pulpit to “give it a go” at being the voice of God to His people to see “if they can do it.” Such practices dishonor what Spurgeon liked to call “the sacred desk” and the seriousness of preaching. Preaching the Word of God is more serious than heart surgery. We would not dare let a novice, untrained, wannabe surgeon operate on our physical hearts, so why would we let an untrained man perform spiritual heart surgery on an entire room of people? What is the wisdom behind allowing novice theological jugglers before God’s sheep, as a kind of entertainment, to point the way? Granted, they may do some good, but chances are, they will do more harm than good. It is always best to let the clear, straightforward teaching of the Bible be our guide. Men who know how to prepare sound sermons and Bible studies are to train other faithful men to do the same (II Tim. 2:15). The great commission in Matthew’s gospel includes after the command to make disciples, “teaching them to observe all that Jesus commanded” (Mt. 28:19-20). But what about preachers and teachers who are not trained or who have received very little training? There are many preachers out there who love the Lord, but who have had no formal training. They are humble, godly, gifted men with a desire to give God glory. You can find them in churches all over the world. Some have never had an opportunity to be trained. Others entered into the ministry, became entrenched, taught themselves along the way, and are doing the best they can. Still others, with all good intentions, paid good money to go to a bad seminary. They received wood, hay, straw, and stubble. They entered the ministry with a “theological degree,” but were still ignorant of how to preach the Word of God with accuracy and in a way that glorifies the Lord. Many pastors try to get more education after the fact. They are put in the pulpit, do the best they can, but then realize after a time they do not have the training they need to do what God commands them to do. This is a biblically backwards approach. The Bible teaches that we should get trained first. The danger in “going for it” and preaching while trying to get training along the way is that with all good intentions good men mishandle the Word of God week after week in an attempt to do their people good and give God glory. Some consider going to seminary, but the thought of leaving their congregation without a shepherd, uprooting their family, and heading to a big city at great expense to get an education isn’t feasible. Some live in countries where “good” and “seminary” do not exist. They are called to the ministry, but are trapped not knowing how to do what they are called to do. The problem of untrained preachers and Bible teachers is the primary reason I decided to create this website. I have another reason for creating this website related to the first. I have suffered the abuse of many ill prepared sermons. Yes, it is abuse to have a preacher preach false doctrine to you. It is abuse to hear someone wrongly divide the Word of Truth. It is abuse to have God gagged and the preacher’s mouth set free, to hear a word from the preacher, but not a Word from the Lord! I have visited a good number of churches and been excited to hear God’s Word preached. I look into the bulletin and see the text that will be preached. I opened my Bible, look over the text, notice the main verb or verbs, modifying phrases and think to myself, “This is going to be great!” Then the unspeakable happens! The preacher reads the text and afterwards goes four-wheeling into the boondocks of his own imagination! He waxes eloquently on what he wants to say rather than one what God has said. He misses the main point of the text! He misses the sub points of the text! He misses the authorial intent of the text. It kills me! It harms the congregation! It dishonors God! I want to stand up and say, “Preacher, sit down until you have something to say from the Lord!” Such experiences have provoked me to create this website. Hopefully, I didn’t just describe you, but if I did, I beg you by the mercies of God, and for the love of Christ and His church to please learn how to interpret and preach the Word of God clearly and accurately. Please get the training you need to let God speak through you to His people. There are tools and resources here that will help you get the training you need. Finally, I decided to create this website for selfish reasons. For whatever reason God has regularly brought men and women into my life who need help with their preaching and/or teaching. The local church, seminaries, and training centers have proven fertile ground for teaching others what has been taught to me. And some preachers and teachers I end up training via email. Training via email is great, but it is a lot of work. It takes time to explain things, write it all out, give examples, and give feedback. But I have done it many times. Some have had no formal education and others have gone to seminary, good seminaries, and yet somewhere in their training missed something, or adopted some strange approach to sermon preparation or delivery. This brings me to the final reason for this website -- self-preservation! I am going to try and put information on this website that will train anyone who wants training to preach and teach God’s Word in a step by step manner. Then anyone who has Internet access anywhere in the world can work through the material provided and at least get some training. No, I won’t be able to train preachers at a seminary level, but I will attempt to help every lay person who wants to prepare a sermon to preach or an inductive Bible study to teach, to do so with excellence. I hope to keep the material on Drivennails at the laymen’s level so anyone can benefit from this website. If you desire to use the materials from Drivennails for training others, please feel free to “plunder the Egyptians” (Ex. 12:35-36). I only ask that you give credit where credit is due, that you do not charge people for, alter, or publish any of my intellectual material. I will have other people’s materials on my website as well, some will be open domain, others copyrighted. I ask you treat all copyrighted materials properly and in the fear of the Lord. In London, across the street from Bunhill Fields cemetery where the bodies of some of the greats are buried like John Owen, Thomas Goodwin, Isaac Watts, and John Bunyan, is John Wesley’s chapel. A large statue of Wesley greets you as you approach his chapel and the caption on the base of the statue reads, “The World Is My Parish.” In like manner, this website is for anyone who wants to learn more about preparing and preaching expository sermons, and preparing and teaching inductive Bible studies. It is also for those who are looking for biblically based devotional materials. In other words this website is for everyone, but primarily for preachers and teachers of God’s Word. Let me tell you a little bit about myself so you can decide if you want to use this website. I realize I run the risk of boasting, but you need to know who is providing you with information. Let me begin by boasting in my weaknesses. I don’t know everything. I am not the sharpest pencil in the pencil drawer. When it comes to preaching, about every rule that can be laid down will have exceptions. Often, I won’t mention the exceptions, but I know they are there so don’t get bent out of shape if I don’t mention them. My greatest attribute is that I am a big, fat, sinner. I am super good at sinning. In fact I was conceived in sin, born in sin, and since birth have continued to sin to one degree or another. However, I am saved by grace, so I have that going for me. I have dyslexia. Which means I am a poor speller. I am also not the best writer. I may not have anyone around to proof my material. You will most likely encounter typos, grammatical glitches, and writing atrocities, so be prepared for less than perfection. Warning, my dyslexia is especially pronounced when typing out verse references. Please don’t complain to me about my lack of editorial finesse, it won’t fix my dyslexia. If you want to email me about typos, I would be obliged. I don’t want to irritate people. If you don’t like what I say, or how I say what I say, peace be with you. Create your own website and say it better. This is my website so I am going to give you my take on things. My son encouraged me to write, “This is Jack’s method of preparing and preaching expository sermons and teaching inductive Bible studies, take it or leave it.” If you have questions, ask. I may have the time to answer. If you have ideas of how to make the content better, please feel free to suggest improvements. I will now do some quick boasting, which I think for some is necessary, but is not very profitable. I acknowledge from the start that all the good that I am, I am by the grace of God. I didn’t save myself, gift myself, call myself to the ministry, or provide the education and experience I have had over the years. It all came from God and to Him be all the glory. I have been preaching and teaching multiple times a week for over 25 years. I have written and taught many Bible studies. Point being, I have some experience preparing sermons and Bible studies as well as teaching and preaching God’s Word. I graduated from The Master's Seminary in 1991 with a Masters of Divinity degree in expository preaching. I graduated from Westminster Theological Seminary in 2001 with a Doctorate of Ministry in Expository Preaching. I have helped plant four churches. I have pastored churches both large and small (45 people to over 1,000. I have taught preaching classes at The Master's Seminary, Cornerstone Seminary, and at various training centers around the world in places such as Russia, South America, Africa, London, New Zealand, and Australia. 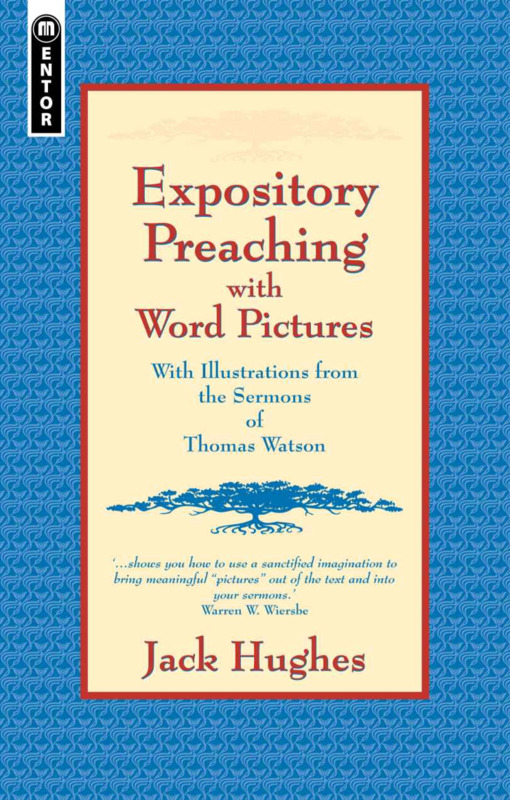 I have written a book Expository Preaching with Word Pictures (Christian Focus Publications) and authored various journal articles addressing various aspects of preaching. To God be the glory! As far as my personal life, I have been happily married for over 30 years, and have three grown children who love the Lord. Hobbies I have enjoyed in the past are fly-fishing, bow hunting, woodworking, remodeling, gardening, reading, and spending time with my wife. However, there is nothing I would rather do than study the Scriptures in preparation to preach and teach God’s Word! Hi, it’s me again. Yes, I am the Webmaster too, a veritable one-man show. I have been working on this website in my mind for a while and more recently have started putting it together. I am not a web programmer, but Squarespace makes it easy for idiots to put a pretty decent website together if they persevere. Way to go Squarespace!